I started to wonder whether or not I could continue to call myself a book blogger...the answer is yes. I finished Life From Scratch (delightful and much deeper than I expected), I re-read Dept. of Speculation for an upcoming chat on The Socratic Salon, and I gobbled up a couple of graphic novels that I'll share tomorrow in my Monday post. There was a lot of sticking to your ribs sort of food around here this week: Chicken Tetrazzini and a Baked Potato Casserole. Both recipes were from Taste of Home magazine. I'm so glad to have kept up that particular subscription because YUM. Daredevil, of course! AMAZING. My husband is watching it with me. We'll be finishing off the final episodes today. Then we'll join the masses in impatiently waiting for the next season. If you're friends with me on Facebook, or follow me on Twitter, you might know that the LGBT kids in my town are in a constant fight with the powers-that-be at their high school. 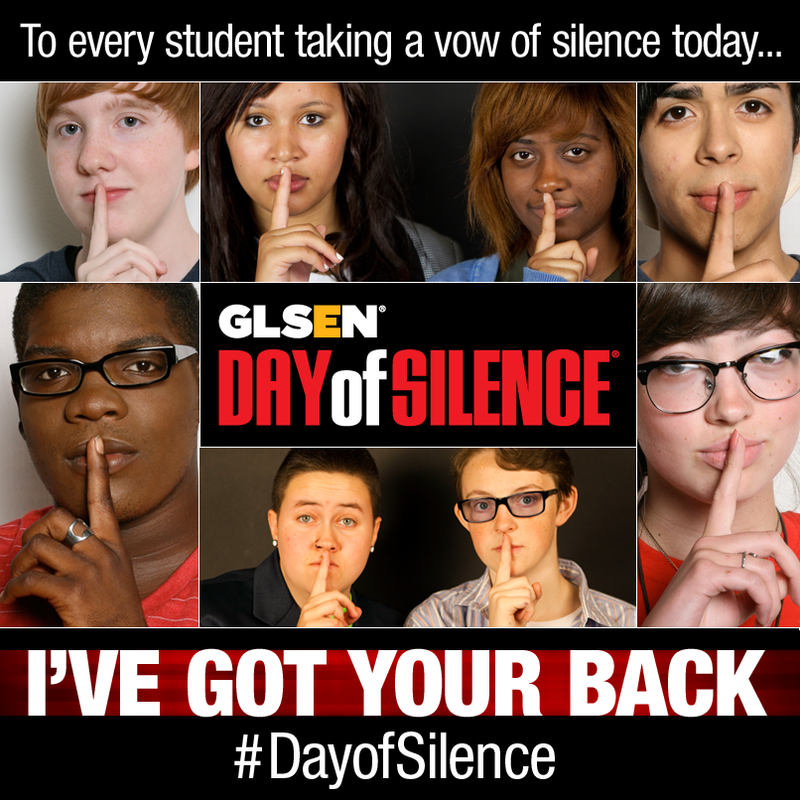 It became more intense this week when the kids signed on to participate in the National Day of Silence. The high school administration discriminates, there's no other way to state it. They wanted to silence them on the Day of Silence which is protesting the constant silencing of LGBT kids. (IRONIC MUCH??) The kids pushed back with the knowledge that they have the law on their side. Supporting these kids has quickly become very important to me. I'd like to thank ALL of you for your kind words and support over the last few days. My daughter appreciates it too! My son, Carter, was chosen as a Senior Rep for Slice of Life Photography. Some of the photos from their first shoot have come back. They are SO. GOOD. Awesome photos from an awesome photographer. Hooray! What are you loving, reading, watching? Tell me, I'm listening! I've been thinking about your question on book blogging. So many blogs, and they are all so different. I enjoy your blog and I'm glad to hear the answer is Yes! I love the Slice of Life photos! Those baked dishes both look wonderful! The photos of your son are stunning. Good for you (and him, I suppose) for supporting the kids who need it at school. Thanks, Joy! They were pretty darn good. I'd definitely make them again, especially the tetrazzini, that stuff was crazy good. I'm GRRRRing at that high school administration. Seriously. Ugh. The recipes sound amazing, and you've reminded me I need to dig into some of my back issues of Taste of Home. I think we're in a cooking rut around here (like Heather mentioned in her post). That is one handsome kiddo you have there!! So proud of A and her friends for standing up for themselves this week. So terrible about the high school administration. We just had a high school student commit suicide here because of bullying so it is fresh on our community's mind. It makes me scared for the world my daughters will be growing up in (not that my teen years were all roses and sunshine but it seems that with social media things are even worse). Good for your daughter for taking an active stance in a positive movement. It does seem like it's worse nowadays. Maybe that's only because we're adults and paying more attention? I don't know. :/ All we can do is keep fighting and standing up for our kids. I am SO proud of you not only for supporting your daughter but for providing the best example you possibly can for your daughter and her friends. You both could have so easily given in or given up, but you are making an obvious different for your entire community. It is fun to watch and cheer you both on as you fight the good fight! I wasn't certain what I wanted to make this week. I will be looking at my TOH magazines now too. Time to bring back the midwestern goodness! Mmmm TOH! We're on a TOH streak lately! 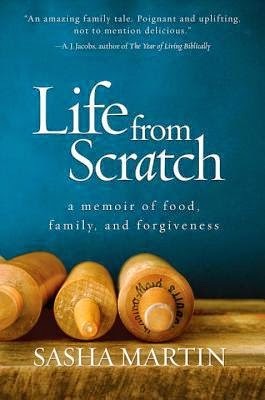 So glad you liked Life From Scratch- because I haven't pushed a book that hard in a long time (sorry if I hit you when I threw it at you and said read this)! You're the second person to rave about Daredevil AND the fact that your husband likes it means that maybe my husband will too. We have no joint TV watching at this point so need help fast! Ha ha, I'm super glad you pushed because it was a delight to read. There was a lot more to that book than I expected. THANKS! Your son's photos are awesome! My son and I will be starting Daredevil tonight. 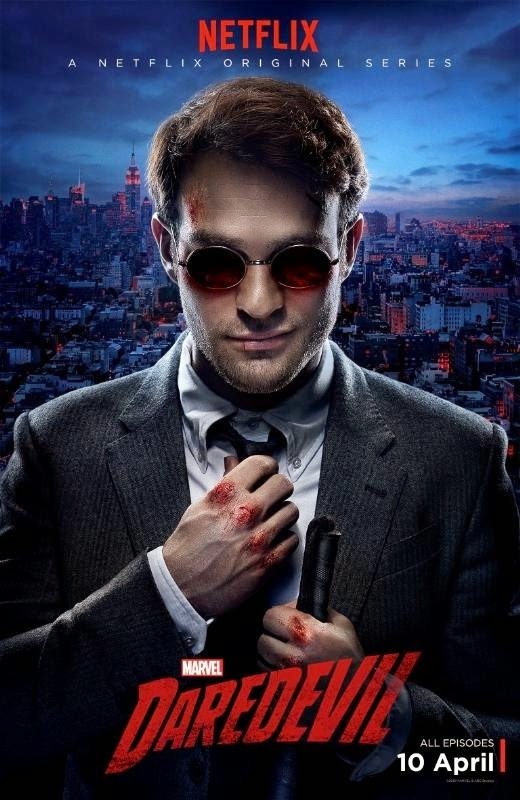 I hope you enjoy Daredevil! I thought it was deliciously dark! It's awful what your high school administration is doing - just so terrible and sad that this kind of thing happens. Good luck with everything! And your son's photos are amazing! I'm so glad your daughter and her friends pushed back. The school is wrong, what are these administrative types thinking? Drives me crazy. My days of public school parent are winding down, but I worry about the local kids so much. Your son is so handsome!! I'm sorry but until a few weeks ago I really thought you had just your two girls, where had I been? Happy reading and here's to a fabulous week coming up. I'm so sorry that is happening at your daughter's school. Good luck with all of it. And congrats to your son! Amazing! You and me both, girl. Thanks so much! Good luck with everything at your daughter's school - it's great that you're there to help your daughter and her classmates out. And - I loved your post about whether you were still a book blogger. It really got me thinking about how I write my own regular book reviews and kind of inspired me to try something different, which I'll be debuting later this week. So, thank you! Oh that's super cool to hear! I love seeing people explore new ways of talking about books so I can't wait to see what you're up to!